The candy industry is one of the only sectors to benefit from the bottomed-out economy -- low-cost sweet treats are doing better than ever on supermarket shelves. In sour economic times, a spoonful of sugar can make all the difference. 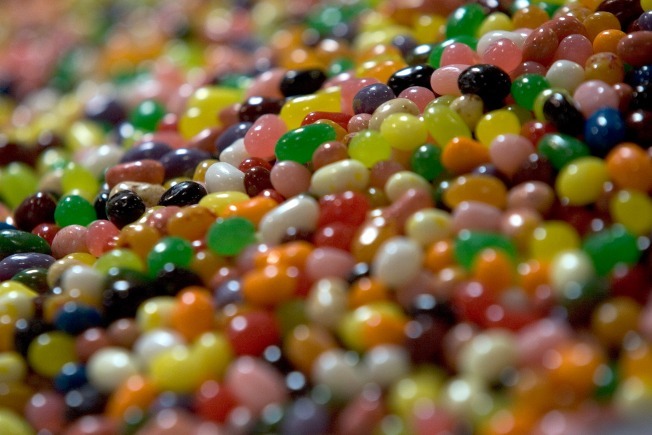 Candy sales are soaring as Americans turn to the sweet stuff to escape the tanking economy, the New York Times reported. Nestle's profits surged a staggering 30 percent in 2008, while egg-making chocolate guru Cadbury saw their revenue rise 10.9 percent in the same period. Hershey gained 8.5 percent in the fourth quarter of 2008, when the recession slammed the country hardest. Candy makers and experts say Tootsie's on a roll because sweets are inexpensive and nostalgic, bringing patrons back to better, pre-recession times. The candy industry is one of the only sectors to benefit from the bottomed-out economy -- low-cost sweet treats are doing better than ever on supermarket shelves even as stocks continue to dip and 401(k)s rapidly shrink. For recession-battered buyers, taking a big bite from a chocolate bar is a much-needed escape from reality. "Sugar is comforting," interior designer Raymond Schneider told the Times as he scooped up gummy candies at Dylan's Candy Bar in Manhattan. San Francisco candy-store owner Jamie Hallman said her company, Sweetdish, is doing record business. "All is well in candy land," Hallman said.